Ft Ticonderoga looks out over Lake Champlain to the left. Near the end of the western Erie canal and with one week before Paul and Sharon had to leave we all took off on a road trip to Vermont, where Sue and I had never been. Our first stop was still in New York. Ft. Ticonderoga was where the American battle performance convinced the French that with their help we could tie up British resources that would otherwise be set against them. We also drove to the top of Mt. Independence for a view of the fort and the area around it. 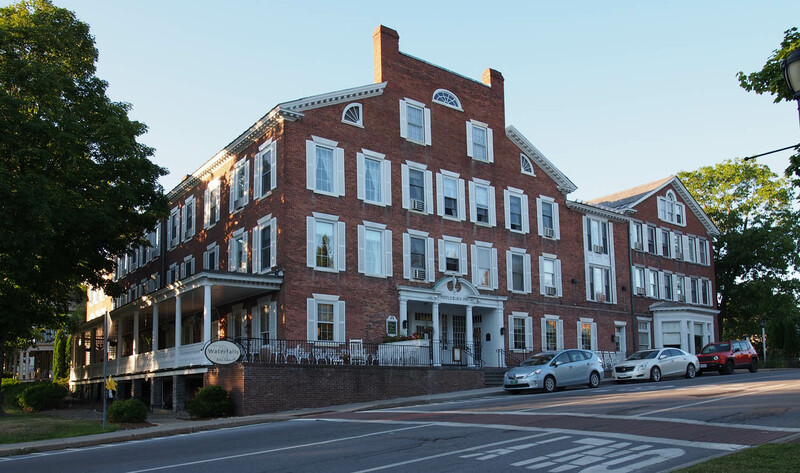 Our first night was in the Middle bury Inn in Middlebury VT.
We spent a full day at the Shelburne Museum a few miles south of Burlington VT and saw a bit of everything. My favorite was the old steamboat Ticonderoga. The museum bought it in the 50’s and tried to keep it in operation, but it was just too hard (I think I can sympathize a bit), so they finally took it out of service and transported it to where we saw it. 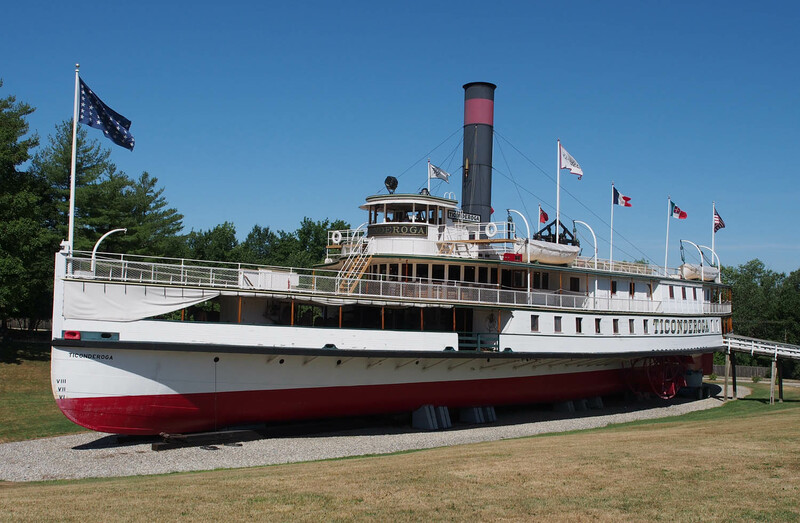 Ticonderoga is a side wheel walking beam steamboat. 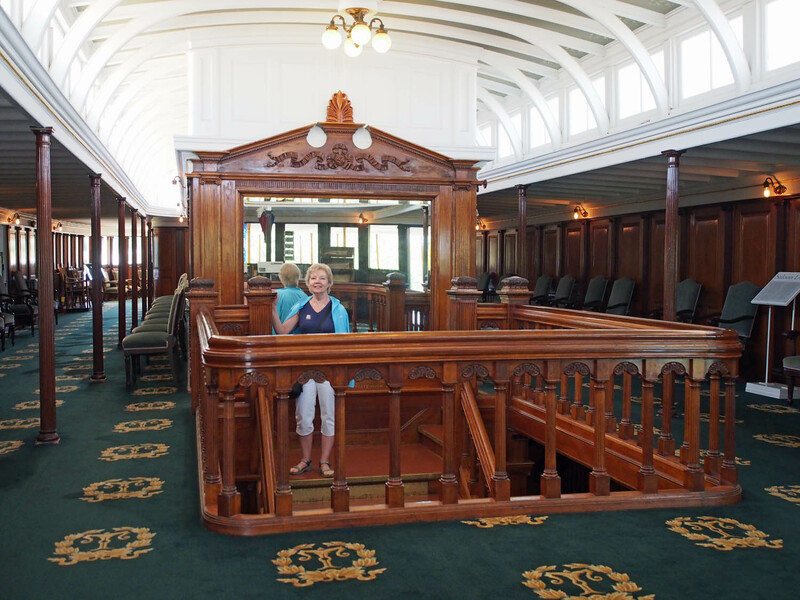 Sharon in the passenger salon of the Ticonderoga. Another high point was Robert Lincoln’s home. Robert was the only surviving son of Abraham Lincoln and became wealthy when he took over management of the Pullman rail car company. He had an Aeolian organ in his home like George Eastman did in Rochester. Lincoln’s had much fewer pipes but also sounded much clearer. Robert Lincoln’s home was built for family, not parties or many visitors. 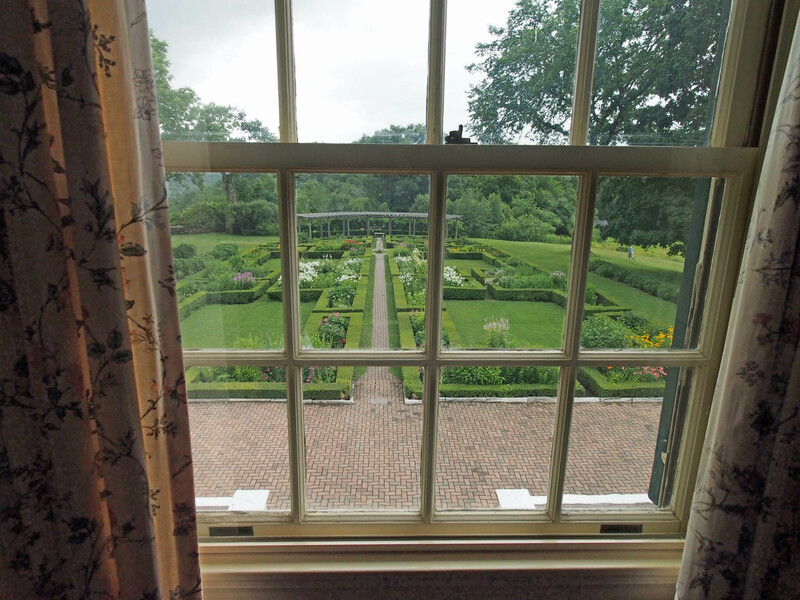 View of the large formal gardens out the back window. 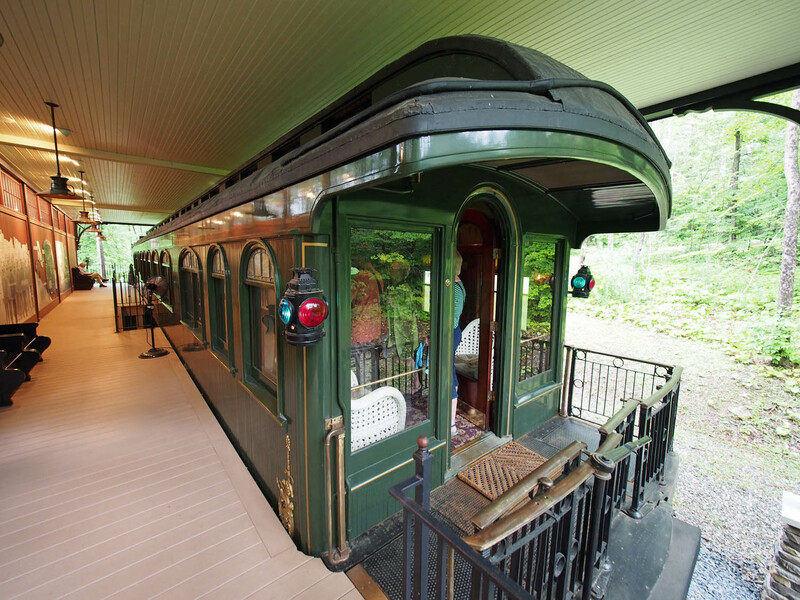 They found and restored this pullman private car. It was rented to wealthy people and was always the last car in any train it was in. There were a number of small towns, picturesque churches and great countryside. We visited the capital and walked the shopping street in the “big city” of Burlington. We returned to Albany late on the 24th, dropped Paul and Sharon at the airport, returned our car and got back to Star Gazer for a good night’s sleep before going through the final 5 Erie canal locks the next day. 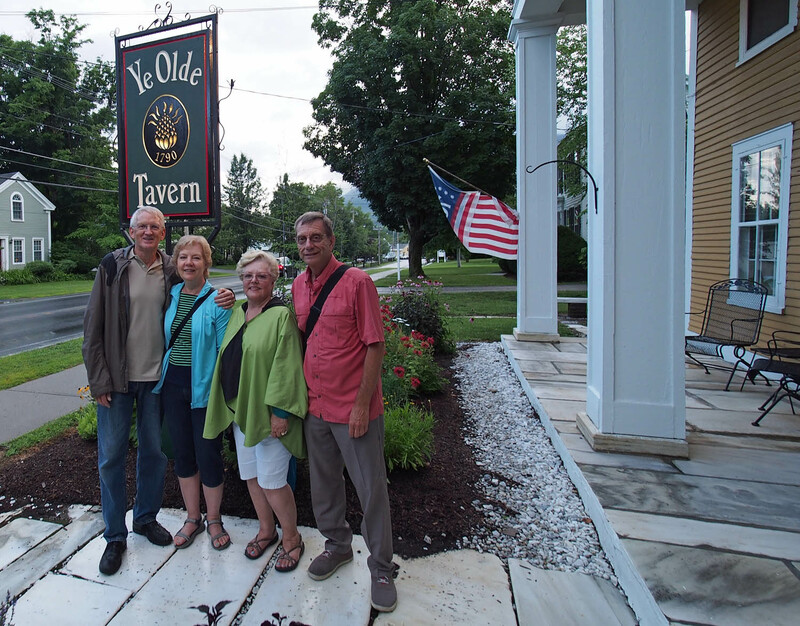 Dinner at Ye Olde Inn in Manchester on one of our last nights on the road in Vermont. Such marvelous sights “off the water” ! !